Born: May 1, 1826 in Sandwich Ma. 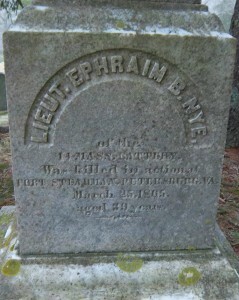 Died: March 25, 1865 in Petersburg Va. at 39 yrs. 1. William A. Nye; (May 26, 1850 – January 15, 1917); Married Mary Ella Wefer (? – 1916) (E. Wefer, Capt. & ?) 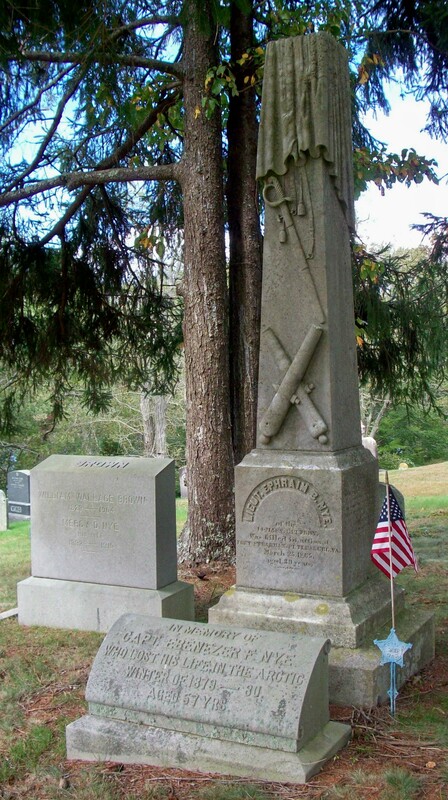 in E. Dennis Ma. on November 28, 1878. 2. Ebenezer Nye; (1852 – ? ); No further information.